The last-mile delivery apps servicing the $2 trillion USD e-commerce market are drawing global attention, notably those that deliver products, groceries, and restaurant-made meals on-demand. McKinsey reports that nearly 25 percent of consumers are willing to pay a significant premium for the privilege of instant or same-day delivery. Younger consumers are also more inclined to choose on-demand over regular delivery options, and this share will likely increase over the next few years. In Latin America, the last-mile delivery market is becoming one of the most competitive in the world. Luckily, the region’s consumers are benefiting from this competition, as startups are rapidly expanding and improving their services across the region. But the dominant startups potentially face new threats from Amazon, Walmart, and other e-commerce giants entering the region with the logistical expertise and capital to scale their operations even faster. Here’s a look at some of the current opportunities, challenges, and key players in Latin America’s last-mile delivery space. According to a report by Freight Waves, the demand for last-mile delivery services has increased by 50 percent in the last 18 months around the world. Startups are sprouting up in Latin America to tap into this demand, reducing delivery costs and transit times by working with the thousands of idle people who own a bike, motorcycle, or car and wish to monetize their free time. For many people in Latin America, participating in the on-demand economy is an alternative way to boost their income above minimum wage levels. In countries where a large percentage of the population earns minimum wage, on-demand delivery drivers can make up to two times more money, plus work flexible hours and even qualify to receive benefits. It remains to be seen if the new class of gig economy workers is happier with this business model over traditional 9-5 jobs, but financially-speaking, it is an increasingly attractive alternative. Earnings vary between cities and can depend on the timing and type of delivery service provided, but a “rappitendero” (a courier for the delivery service Rappi) can earn up to an extra US$100 per week in Mexico City. Some Rappi couriers claim to make as much as double the minimum wage (which is below $300 per month USD) in Colombia. It’s not an option to leave a package at the front door of a Latin American city dweller because it’s likely to get stolen, so many consumers must spend additional time and money on a trip to the post office to pick up an online order. Parcel lockers are one option, but instant or same day courier services via bicycle and motorcycle are already common in Latin American cities for delivering documents and restaurant meals. With city populations already accustomed to receiving services this way, it is only a matter of adding a layer of technology to streamline and expedite orders from online retailers and other local businesses. On-demand delivery services are targeting the final step in the delivery process that has been without technology for a long time. The traditional car model often used by delivery services in the U.S. such as UberEats, is also not an option in complex and chaotic megacities like São Paulo or Mexico City. In these cities, a simple trip to the supermarket can take up to three hours, a painstaking task neither consumers nor couriers want to endure. Therefore, most last-mile delivery startups in Latin America operate with a fleet of bikes and/or motorcycles, which keeps delivery experiences fast and affordable. Another factor that makes Latin America’s on-demand delivery market stand out when comparing it to other regions in the world is the number of businesses and services that accept cash as a form of payment. In Latin America, cash is still king, with as many as 400 million people living and working outside of the traditional financial system. By inviting users to pay with cash, last-mile delivery startups are tapping into the instant delivery demand without excluding a significant number of potential customers. So let’s take a look at the regional startup successes. A combination of Uber Eats, TaskRabbit, and Instacart, Rappi is one of the few services that truly delivers “everything.” Founded in Bogotá, Colombia in 2015 by Felipe Villamarin, Sebastian Mejia, and Simon Borrero, the company started out delivering alcohol and drinks from local stores. But as users started requesting other items from shops, the company added the option to deliver anything, charging users approximately $1-2 USD per order delivered, or a flat $7 USD per month for Rappi Prime. Rappi took off quickly in Bogotá and Mexico City and now serves more than one million customers across Colombia, Mexico, Brazil, Chile, Uruguay, and Argentina with its fleet of more than 30,000 couriers. The company participated in the Silicon Valley accelerator program, Y Combinator, and has raised significant funding from US firms such as Andreessen Horowitz, Sequoia Capital. 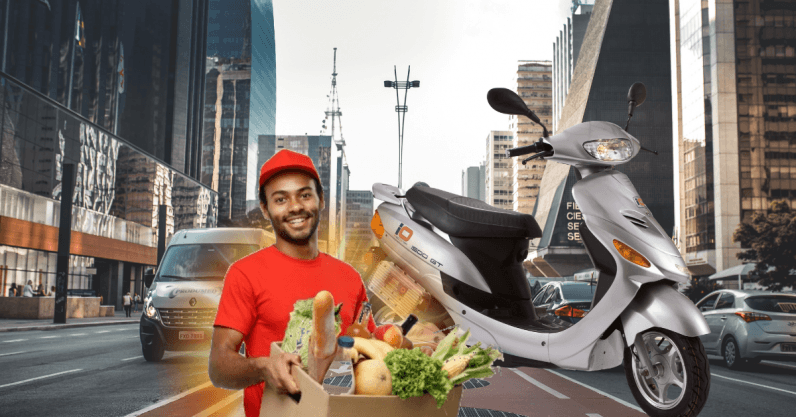 $105 million USD of its funding came from Delivery Hero, a leading online food company headquartered in Berlin, Germany and the company recently raised another $200 million USD round led by DST Global, pushing its valuation over $1 billion USD. Another rapidly-growing delivery service founded in Bogotá, Colombia, with operations in Mexico, is Mercadoni. A leader in the grocery delivery segment, Mercadoni also allows users to purchase items from local shops such as liquor stores, drugstores, pet shops, and more for delivery straight to their doorstep. Founded in October 2015 by Antonio Nunes, Margarida Freitas, Nicolas Fernández Talice, and Pedro Freire, the app has more than one million downloads and more than 500,000 registered users across Colombia. In Mexico City, Mercadoni has more than 80,000 users and counting. In January 2018, Mercadoni received a $9 million USD investment from Brazilian Naspers backed mobile giant, Movile, to help consolidate its presence in these countries. The company has raised more than $17.2 million USD to date. In January 2015, Cornershop launched its on-demand grocery delivery service in Mexico and Chile. Founded by Daniel Undurraga, Juan Pablo Cuevas and Oskar Hjertonsson, the team behind ClanDescuento, a daily deals site in Chile that was acquired by Groupon in 2010, the company’s founders used their expansive knowledge of the Latin American market from their time working with Groupon to turn Cornershop into one of the leading delivery services in the region. With a rapidly growing inventory of supermarket partners and global retailer partners such as Office Max and Petco, Cornershop delivers hundreds of thousands of orders each month on-demand in Mexico and Chile and has plans to expand across Latin America. In an interview with Forbes Mexico, the company claims they are experiencing double-digit month to month growth. Cornershop recently raised an impressive $21 million USD round led by Accel Partners, bringing its total funding to $31.7 million USD and an eventual acquisition by Walmart for $225 million USD. Available in 61 cities in 17 countries, Glovo is becoming a delivery powerhouse. The app allows users to order nearly anything for delivery in under an hour. Founded in 2015 by Miguel Vicente, Oscar Pierre, and Sacha Michaud and headquartered in Barcelona, Spain, Glovo delivers more than one million orders per month and has more than 5,600 partners worldwide. The company launched its on-demand delivery service in Santiago, Chile at the end of 2017, marking its entrance into the Latin American market. Today, Glovo operates in Chile, Argentina, Brazil, and Peru and shows no signs of slowing down. Its biggest worldwide competitor, Uber Eats, is also available in six markets in Latin America. Combined with the considerable local competition mentioned above, Glovo faces an uphill battle for market share despite having plenty of cash (more than $176 million USD) to make it work. The competition to become the last-mile leader is heating up with new startups and global retailers continually launching and setting up shop in Latin America. But as Amazon, Walmart, and other companies start going after Latin American consumers who are buying online, we may begin to see the existing delivery leaders shift their strategies and reconsider partnering with each other in order to maintain their share of the market. Mexico is one of the largest markets for last-mile delivery companies, and Walmart is already experimenting with motorcycle delivery service. Uber Eats and Postmates, which both arrived in Mexico between 2016 and 2017, are also battling against Walmart and the delivery services mentioned above. UberEats has more than 7,000 bicycle, motorcycle, and car delivery partners in Mexico City, while Postmates launched with approximately one thousand. In Brazil, the delivery app Loggi, which was founded by Arthur Debert, Eduardo Wexler, and Fabien Mendez and matches shippers with motorcycle couriers and may secure $150 million USDfrom Softbank, is another one to watch in Latin America’s megacities. Softbank is no stranger to the on-demand space, investing in both DoorDash and Uber, and the Japanese conglomerate could help Loggi defend its local turf. Amazon is another looming threat for nearly every business in Latin America’s e-commerce market as well. The retailer began operating in Brazil selling Kindle readers, and recently added electronic goods and some household products. In Mexico, Amazon has similar retailing operations as its U.S. business model and is now rumored to launch in Chile, Colombia, and Argentina, though it faces some challenges all three countries. It’s also up against homegrown MercadoLibre, which has a well-established logistics network and free delivery options. While not many of these companies want to reveal their numbers, there are rumors that one of the larger players in Latin America loses more than $1 per USD delivery, meaning that if they don’t become profitable, they run the big risk of failing. Just look at why so many last-mile delivery startups in the US, such as Doorman, couldn’t find a sustainable model and lost so much money they had to close up shop. In the not too distant future, we may also see many of these services integrating their own payment processors to facilitate more person-to-person payments, and as a result, operating more like a fintech than just a last-mile service. Rappi is already leading the way with RappiPay, a service that allows users in Colombia, Mexico, and Brazil to exchange points for deliveries and even cash, though the cash option is only available in Brazil for now. When more and more of these apps allow users to deposit cash and exchange credits between users, they soon could become attractive alternatives to traditional banking services, given that a large percentage of the Latin American population remains unbanked. With more people heading online in Latin America, fast and efficient delivery options are a top priority for consumers in cities such as Mexico City, Bogotá, and Buenos Aires. Heavy traffic and nightmarish lines at retailers are making last-mile delivery apps and services more attractive than ever. Both startups and large e-commerce players are scaling their operations quickly to meet this demand, with hopes of providing the best user experience possible and cementing their spot in consumers’ minds and devices across the region.